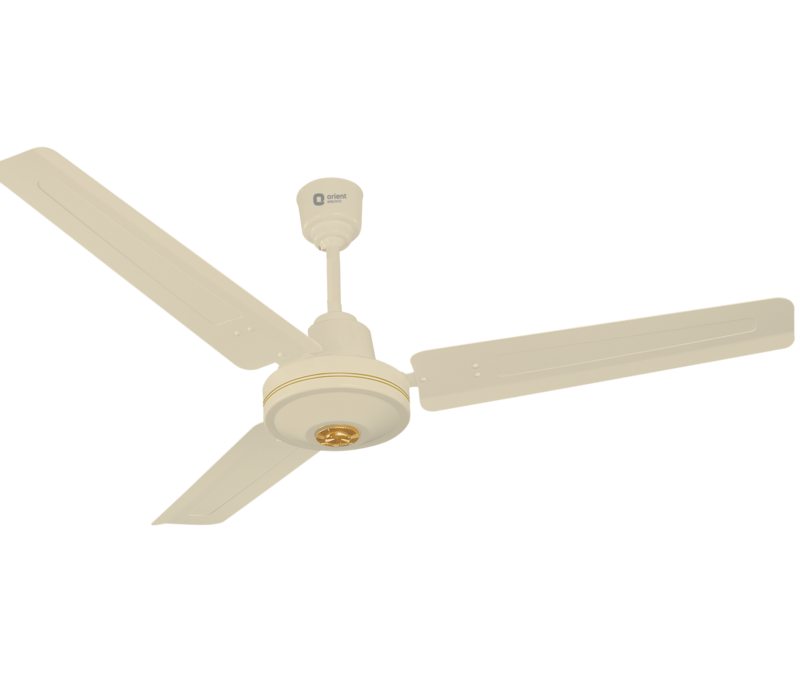 Orient Deluxe 1400 3 Blade is the new age and high power device marketed by one of the premier fan manufacturer company in the country. The fan presents a sleek and attractive design with smooth finish. Over the years, Orient Electric has been providing some of the best designer fans that can cater to all requirements of creating comfortable and relaxing environment at home or office. Orient Deluxe 1400 3 Blade ceiling fan comes with highly attractive decorative cup. The three blades of the fan are ribbed and they are also perfectly balanced for optimum air generation and circulation. Ribbed blades also have the advantage of making the fan very strong. The device is built using best material. The manufacturer has ensured protection of the motor with pressure die-cast motor cover as well. The fan is available in glossy brown color making it look attractive and chic. The ceiling fan has a standard sweep of 1200 mm that helps it cover substantial space with cool and clean air. The fan is characterized by easy air flow and the motor runs at 280 rpm. The fan has four speed settings for convenience of users. These features help the fan generate enough cool air and in addition the speed can be adjusted according to the necessity or weather condition. Orient Deluxe 1400 3 Blade ceiling fan comes with one year guarantee from Orient. The warranty covers all manufacturing defects only. Defects in any of the external accessories or defects that occur due to wrong installation by the user are not covered in the warranty. The fan comes in a package that contains down blade set, rod, shackles, canopies, the motor and cover. User manual and warranty card also form part of the standard fan package.